great find- love some rust! How interesting - I love the rust! I love these colors together! 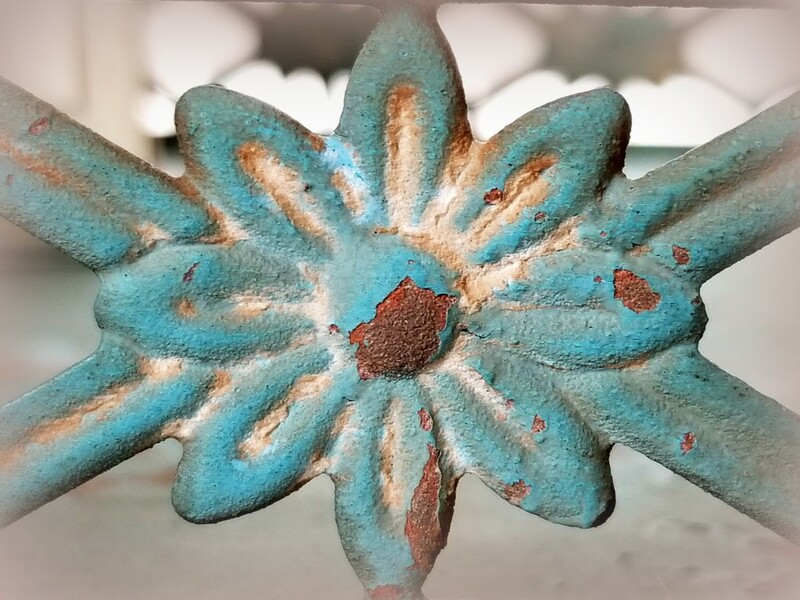 Turquoise and rust! Beautiful! this is a lovely find.. lovely in all its paint peeling grunginess! Very pretty! The rust is a lovely added touch to that pretty colour. Nice find, the rust complements the blue nicely. I love how your rainbow month is shaping up! Love the color combo of aqua and rust. Nice shot! @samae @mwhipple @stownsend @billyboy @jenp @lesip @brigette @bella_ss @wendyfrost @dianen @jacqbb @777margo @olivetreeann @gardenfolk Thank you very much for each of your encouraging comments. This is part of a small design on the sides of a tray.